Innovative creations of passionately effective and scalable websites through open source CakePHP web application framework, is what WebAppMate stands for. Irrespective of the business sizes whether small or large, our experienced team has been serving efficiently numerous clients till date. Your dream is what we aspire. Our well acknowledged developer work to fulfil your dreams. Our dedication is presenting your business with user friendly, easy to navigate websites. At WebAppMate we design and develop web applications as per industry specific requirements and so we design keeping in mind what your customers experience. CakePHP is our producer of web application. It is a framework where original source code is easily available and can be modified. It is designed on the concepts of ruby on rails, written in PHP and its distribution is under MIT License. Supported by MVC architecture it is assisted in carrying out systematised and arranged development process suitable for attaining reasonability and scalability. 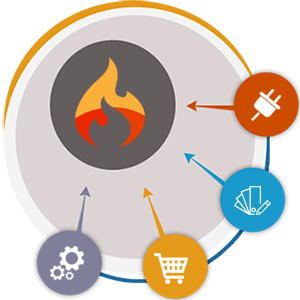 webAppMate serves with CakePHP website design and CakePHP development services for developing e-commerce and other web based applications. Our experienced and well qualified skilled developers are specialist in designing templates, creating skins, framework installation, developing custom component, creating plugins, doing design integration and also make custom modification to meet customer needs. All this is made available at affordable cost, as WebAppMate has always rendered cost effective services. WebAppMate rises as a proud company of well organised, highly skilled and dedicated team of CakePHP developers offering all the CakePHP customization customers want for their project. We care for what you desire. We learn your requirements and accordingly provide solution that is affordable, effective and innovative.